In a large saucepan, combine the spice bag with the vinegar, the molasses, the soy sauce and the tamarind. Bring to a boil, lower the heat and let simmer for 45 minutes. Bring to a boil, lower the heat and let simmer for 45 minutes.... 2 tbsp butter. herbs (about 1/2 tsp of garlic powder, pepper and salt) Directions: 1. In one pan brown ground turkey. 2. In a seperate pan combine the onion, garlic, carrots and a little water to start sauteing. Stir in cheese, frozen veggies, tuna, Worcestershire sauce, salt & pepper. Mix well until heated through, then top with grated cheese before serving. Serve with pasta or rice (I like to mix my pasta through the sauce before serving). 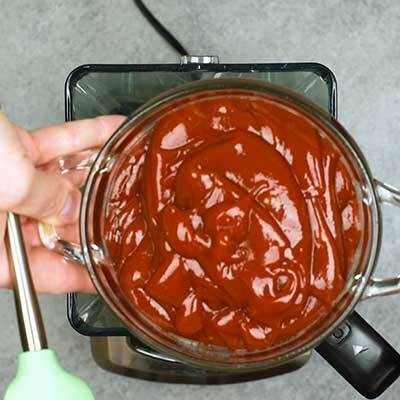 This is my absolute favorite BBQ sauce to make at home and serve over smoked baby back ribs. This 5 Star recipe will ensure all your ribs get eaten quickly!